The listing of the matter for January could prolong the hearing in the case for a few months -- by when the country would be in election mode due to general elections due in April-May 2019. 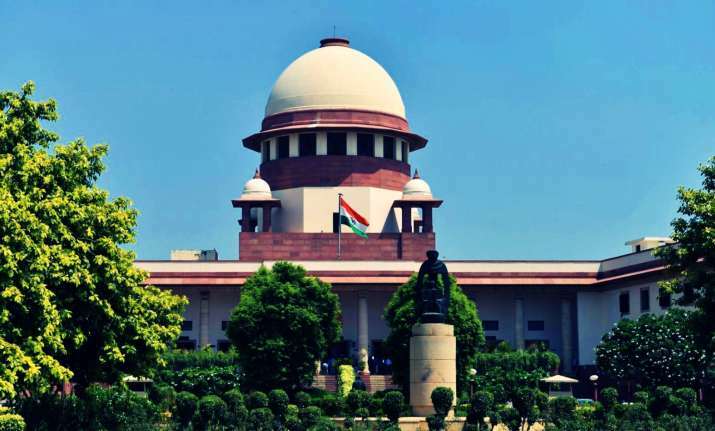 The Supreme Court on Monday directed the listing of the Ram Janmabhoomi title suit matter for an appropriate bench that will fix the dates in January 2019 for the hearing of a batch of petitions challenging the Allahabad High Court verdict trifurcating the disputed site. A bench of Chief Justice Ranjan Gogoi, Justice Sanjay Kishan Kaul and Justice K.M. Joseph gave its decision on the petitions challenging the 2010 Allahabad High Court ruling by which the disputed site in Ayodhya was divided into three parts -- for Ram Lalla, Nirmohi Akhara and the original Muslim litigant. 1. "We have our own priorities. Whether the case will come in January, February or March, it will be for the appropriate bench to decide," CJI Gogoi said as a lawyer urged the court to decide on the dates when the hearing on challenge to the High Court judgment will take place. 2. The listing of the matter for January could prolong the hearing in the case for a few months -- by when the country would be in election mode due to general elections due in April-May 2019. 3. On September 27, the top court bench headed by then Chief Justice Dipak Misra, along with Justice Ashok Bhushan and Justice S. Abdul Nazeer, by a 2:1 majority rejected the plea that the challenge to the 2010 verdict be heard by a bench of five judges. 4. It was contended by the Muslim litigants before the three-judge bench headed by then Chief Justice Misra that the challenge to the 2010 verdict should be heard by a larger bench as the High court had relied on 1994 apex court judgment that said that mosque was not essential to Islam for offering Namaz prayers. 5. Rejecting the plea for hearing by a larger five-judge bench, then Chief Justice Misra and his colleagues on September 27 directed that the matter be listed for October 29 hearing. 6. Litigants in the Ram Janmabhoomi/Babri mosque title suit said they would wait for the Supreme Court verdict in the case. There were, however, differing views on the demand by Vishwa Hindu Parishad (VHP) and other Hindu outfits that the government bring in a law to build Ram temple, with Iqbal Ansari of Sunni Waqf Board terming it as a "political gimmick" ahead of the elections. 7. Whatever the Supreme Court has ordered on the Ram Janmabhoomi-Babri Masjid land dispute cases should be honoured, All India Muslim Personal Law Board (AIMPLB) member Zafaryab Jilani said. 8. The order triggered a chorus of demands from within the BJP and various Sangh Parivar outfits that the Centre bring an Ordinance or legislation in the Winter session of Parliament for early construction of Ram temple at Ayodhya ahead of 2019 Lok Sabha polls without waiting for the apex court verdict. However, Congress and Muslim groups wanted all stakeholders to wait for the verdict. 9. AIMIM chief Asaduddin Owaisi challenged the Modi government to bring in an ordinance for early construction of the Ram temple at Ayodhya, amid demands within BJP and some Sangh Parivar outfits to do so. 10. The RSS said Monday that the Supreme Court should make an early decision on the Ram Janmabhoomi land dispute in Ayodhya and the Union government should bring a legislation to remove hurdles, if any, in the way of the construction of a Ram temple at the site. RSS chief spokesperson Arun Kumar said the Allahabad High Court in its verdict has accepted that the site is the birthplace of Lord Ram and a temple existed there.